This is Steve Sande for Apple World Today, and you’re listening to the AWT News Update podcast for September 21, 2017. There will not be a podcast tomorrow, but be sure to visit the website at appleworld.today for a text-based news update. A lot of AirPod owners have been wondering about that wireless charging case that was shown to the world at the September 12 Apple event. Well, it turns out that the case will be sold separately as a upgrade that will work with your AirPower charging mat to keep the ‘pods powered up. One rumor has it that the new case will cost $69, and that Apple will sell all AirPods in the future with a choice of the AirPower-compatible case and the regular Lightning case. That AirPower charging mat won’t be out until next year, and it’s likely that the AirPod case — when it arrives at the same time — may not work with regular Qi chargers. The Apple Watch Series 3 that will be in stores tomorrow can’t be charged on existing Qi chargers. One irritating omission from the iOS 11 update was the most popular way to access the App Switcher — 3D Touch. Apple software engineering head Craig Federighi said that the gesture had to be dropped in the first official iOS 11 software due to a technical constraint, but that it will be back in a future update to iOS 11. Smartbulb manufacturer LIFX today announced that its smart lightbulbs are now compatible with Apple HomeKit, something that’s not true of its chief competitor, Philips Hue. Owners of existing bulbs including the LIFX, LIFX GU10, LIFX Downlight and LIFX+ models need to download the LIFX 3.8.1 app update, then install new firmware. Once the firmware is installed and HomeKit is enabled, users can control their lights using the iOS Home app, watchOS and Siri. As usual, remote access requires an iPad or Apple TV that is configured as a home hub. Finally, here’s a fun little hint for folks who may only have one working hand or would like to be able to type with one hand. 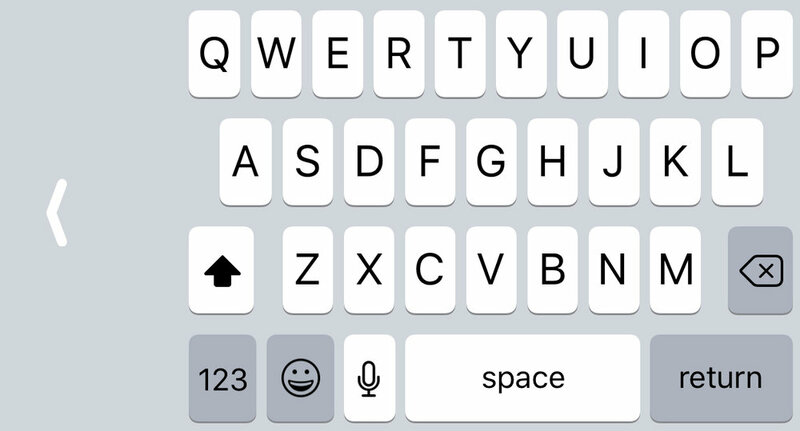 iOS 11 has a special one-handed keyboard that compresses keys into one corner of the screen to facilitate one-handed typing. The easiest way to enable this is to do a long press on either the globe or emoji icon on the keyboard. You’ll see three tiny keyboard icons, one showing the keys pushed to the left, the other to the right and the third showing the regular keyboard setup. To return to the full-size keyboard, simply tap a white arrow that appears in the gray space to the side of the keyboard.